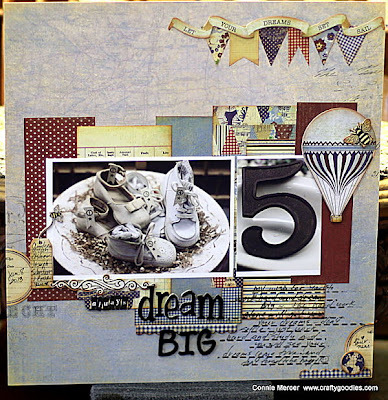 Hi everyone~wanted to share with you my up and coming class at Craft Crossing. It is a little mini album by Farm House. 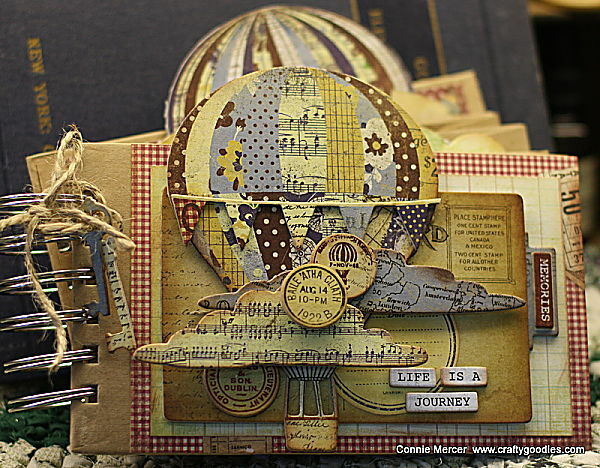 Super cute and full of chunky chipboard!! It has envelopes in it also to hold memorabilia. 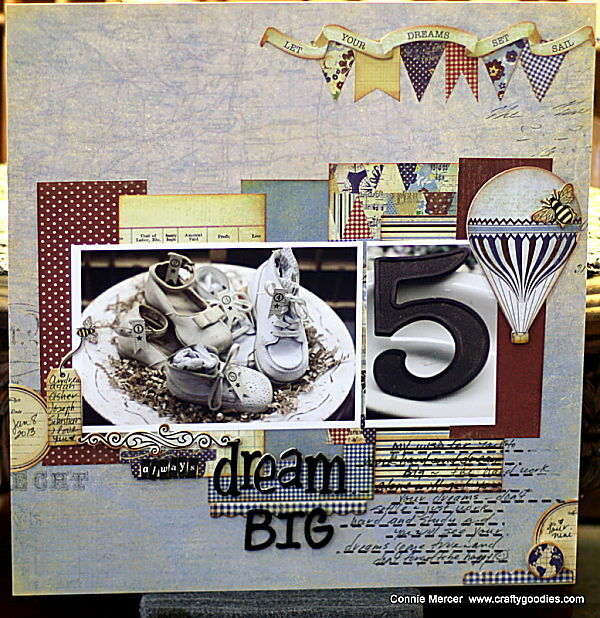 This is a bonus~you will have enough left over product to make this layout on your own time at home. and this is a flair badge for your scrapbooking bag or your apron!!! Just some extra pieces left over~you know me I'm gonna use it all!!! I totally love the album. That would be fun to make. Wish I was closer. Great you use all the products...and you do it so well. Wow! This will be an amazing class, Connie! Love these projects! OH WOWOWOWOWOW!! LOVE that mini - you need to move closer lol!!! and The page. yum...oh and the card. all awesome projects. love that line. What a great album Connie! Good luck with your class! Oh wow Connie, what great projects! Love the album and "Dream Big" layout, ephemera and papers! You are just amazing!! WOW WOW WOW!! These are GORGEOUS!!!! That mini album is so beautiful. I really need to look into Farm House. I haven't really followed that company at all. I know they were new last CHA. I guess I am late on the bandwagon. Great projects. What a wonderful class.